The Wollemi pine (Wollemia nobilis) was discovered in 1994 by David Noble from the NSW National Parks & Wildlife Service, hidden deep in a remote gully within the Wollemi National Park. Nestled 200 kilometres north-west of Sydney, the Wollemi National Park is the 2nd largest in NSW, with an area of 487,000 hectares. A vast wilderness, from the outside it seems unchanging despite the rapid-paced world around it. 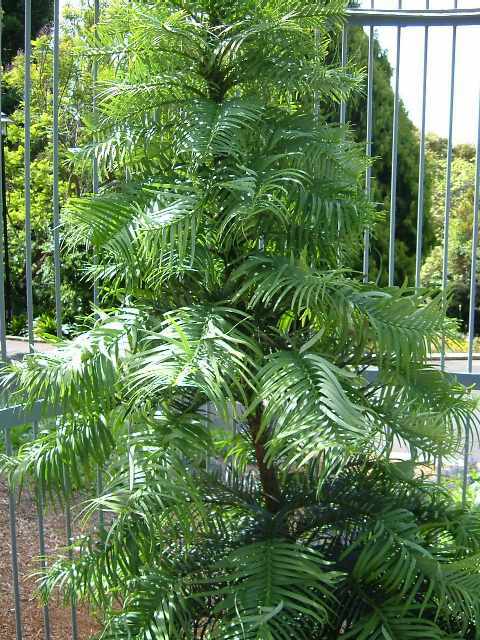 However, a closer look at the Wollemi pine shows it is in fact highly capable of change and adaptation. The tree has evolved to form a wax cap or “polar bud” over its pine cones, ideal for protecting it against the chill of previous ice ages. These and other qualities have allowed this beautiful tree to survive for over 200 million years. Many of us are a bit like the Wollemi pine – not as young as we once were, but capable of change, and resourceful enough to make the most of our circumstances. The word “Wollemi” itself comes from the Aboriginal word “wollumii” meaning “watch your step” or “look around you”.